If you don’t have your own small animal audience, store-bought is fine. 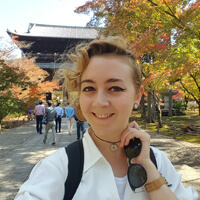 Exciting news folks! Primrose has recently got in a whole new selection of terrarium making tools, the first on the site made specifically for closed-system terrariums! Well since they’re so new, and terrariums are finally making the come back they deserve, I went and wrote up the journey through creating my own closed-system terrarium. All of this and a good dash of patience. If possible, it’s recommended to find a piece of plastic mesh to help keep the stone and soil layer separate, but don’t worry if you can’t get hold of any, I didn’t use it in my terrarium. And last but not least, the plants and accessories you want in the terrarium. These are the two species I used, Tradescantia Purple Passion at the front and a Chlorophytum Comosum behind. The idea of a closed terrarium is to create an ecosystem that will sustain itself. Both the plants and soil release moisture that becomes water vapour, and condenses against the walls of the terrarium during the warm daylight, falling back to the soil in the cooler evenings. This creation of an enclosed watering system is what will keep your terrarium growing, but just throwing dirt and plants at it isn’t going to work, an irrigation system is needed to stop the soil from rotting under too much water. At this point you’ll want to grab the funnel, or if you’re on a budget, make one out of cardboard or paper to make for easier application of the materials. First pour in a layer of small stones, pebbles, or gravel. There’s no hard and fast measurement as it depends on what size receptacle you’re using, a good rule to stick to is one-quarter stones to three-quarters soil. Remember this layer has to be deep enough to stop any pooling water from sitting in the soil. Check your terrarium from all angles, sometimes it’s hard to judge the level of coverage with curved glass. Next is activated charcoal. This is an integral ingredient in the tasty soup that is your closed terrarium. It absorbs chemicals in the soil, water, and air that could otherwise build up over time and damage the plants. Charcoal also cleans up unpleasant odours that are released from the decomposing soil and helps stop mildew forming. You don’t need a whole layer of the stuff, but make sure there’s a good handful being placed in, it’s going to do a lot of work after all! If you’ve been able to source some plastic mesh, now is the time to cut it to shape, fold it up and pop it in. You’ll need some long tools to push and pull it into place, and then you can add the substrate. (Note that the charcoal seems fine both above and below the mesh layer.) Again, if you don’t have a mesh layer don’t worry! You can still power on! Okay, let’s layer up some soil! You’ll need a decent amount, remember we’re working to approx one-quarter stones to three-quarters substrate. Don’t worry if your measurements aren’t perfect, it’s all a learning process! Make some small divots for the plants to sit in, and let’s move on to prepping some plants! Small ferns will help fill out any space, and they’re relatively easy to come by. Try and find a miniature variety if you can, as some ferns can grow pretty big. Peperomia, Maidenhair fern, Pteris, and Adiantum. I chose a variegated fern to place in mine, the pot I purchased had three separate plants in it so I picked out the smallest to place in my also quite small terrarium. Tradescantia- also known as Spiderwort, is another plant that does well in humid climates. There are a lot of variants though, and I’d recommend staying away from any that are flowering as they will wilt and die quickly in the terrarium. I chose a Tradescantia Purple Passion to place in mine. Other tropical foliage such as Dizygotheca and Neoregelia ‘fireball’ enjoy a humid environment, making them other possibilities for your display. To finish it off I would recommend some moss. I took a trowel and dug some out of my garden. Moss is a great way to fill out your terrarium, it helps to cover bare soil and brings more diversity into the jar. Trixie spent the whole time trying to eat my plants and the moss. Thanks Trix. This section entirely depends on what container you’re using for your terrarium, but for brevity’s sake I’m going to assume you’re using the same line of terrariums that I am, and in that case you’ve got some trimming to do. The opening of the bottle is a lot smaller than you first think, so you’ll need to carefully extract the plants from their pots, and gently scrape or shake off most of the soil around the roots so you can fit it through the top. This is where having another container or a lot of newspaper down comes in handy to catch all the soil! Move the plant around after it’s fallen inside, and make sure you push soil back around the roots when you’ve confirmed the placement. Now is a good time to consider the layout of your terrarium. Instagram and Pinterest are great sources of inspiration, just make sure whatever you use is small enough to fit! In my terrarium I used some old chunky sticks to create a divide in the middle, putting the fern one side and the tradescantia on the other, with moss liberally applied all around. To finish it off, I added some more height with a mossy stick reaching up through the bottle, remember to consider your layers to make for a more visually interesting display! Here’s my finished terrarium! I’m very pleased with how it turned out, and it didn’t take more than about half an hour to put together! Before adding the cork, make sure you give your terrarium a good spritz with a spray bottle, or pour a little water down the side. You don’t need to add the cork straight away – allow the bottle to stand for a day to let the plants settle, and for the first week or so, take the cork off for a few hours every day. This allows you to adjust the water, and allows the plants to breathe and accumulate to their new closed-system environment a little easier. Keep your terrarium out of direct sunlight, and rotate it every day or so to allow all sides to soak up some heat. And here’s my beauty after 2 weeks! The tiny wild clover in the moss are loving it! 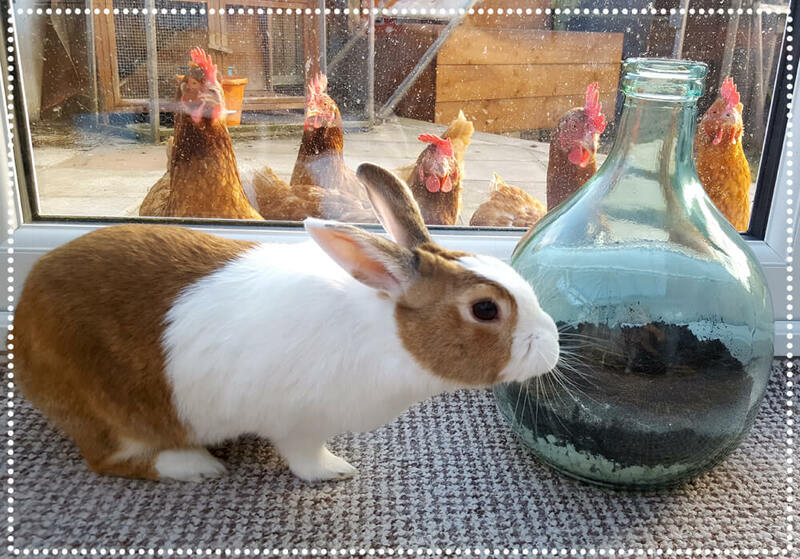 There’s always the fear that your terrarium won’t last the weekend. Fear not! If you’ve used the right plants and followed the guide you should be safe. One thing to bear in mind is the water cycle, moisture should build up over the day, then drip back down to the soil overnight. If there is too much condensation then plants might start to rot, so remove the cork and allow it to dry out a little. If there’s no moisture on the sides by late afternoon, it may need a spritz of water to keep the cycle going. If it does unfortunately go wrong, there’s no shame in calling it a day, dumping it all out and starting again. We all have to start somewhere, and I’m sure your next terrarium will look amazing! If you do make up one of our terrariums, be sure to snap a photo and send it in! Bonus points for getting your pets involved! Currants and Gooseberries are all part of the Ribes genus. Jostaberry is a cross between two gooseberry species (R. uva-crispa and R. divaricatum) and blackcurrant (R. nigrum). White-currants (and pink-currants) are the same as redcurrants (R. rubrum). Pruning takes place when the bush is dormant, ideally in late-winter/early-spring. Some may prune in late-summer to tidy up vigorous varieties. As always, practice makes perfect and over time you’ll learn what works best. Gooseberries and redcurrants fruit on short spurs on 2-3 year old wood. Blackcurrants and jostaberries fruit at the base of 1 year old wood and on spurs on 2 year old wood. It is for this reason that 4 year old wood is removed for gooseberries and redcurrants, and 3 year old wood removed for blackcurrants and jostaberries. You can easily identify the age of the wood by its colour. Older wood is often black/listless white, while the youngest is brown. As usual the four Ds (dead, dying, diseased or damaged) should be removed. 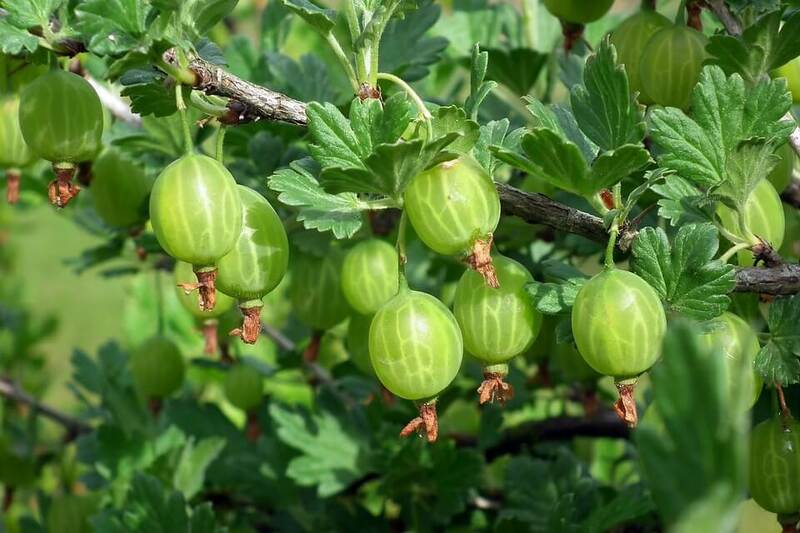 Gooseberries and redcurrants can be grown as a freestanding bush (where you remove all suckers and branches originate from a single stem), a stool (where you allow multiple stems to grow from the roots), and as a cordon. Blackcurrants and jostaberries can only be grown as a stool as they need constant renewal. With the free-standing bush method, you are seeking to establish a goblet shape with branches growing away from the centre. This allows light and air to penetrate the bush, reducing disease incidence and promoting ripening. Stems growing towards the centre are thus removed. The buds you prune to should be based on the height and direction of your branch. Branches that grow upwards, prune to an outward-facing bud to encourage spreading. Branches that sprawl, prune to an upward-facing bud to encourage vertical growth. You are aiming for a 45 degree angle. You’ll also wish to remove branches that cross (or grow too closely together) as rubbing can cause canker. Suckers can be removed in summer and are best pulled than cut, which takes the growth node. Nurserymen and women will shorten the main stems of your bush when it’s young to encourage branching. This will leave you with a plant with multiple branches growing off the main stem (known as the central leader). You’ll want to select 4-5 branches, 2-3 growing in one direction and 2-3 in the opposite direction, and remove all others. Ensure the branches on each side aren’t too close together. These branches are known as your primary scaffold. In the first year, cut each primary scaffold to an upward facing bud. By the second, the primarily scaffold will have branches growing off them (the secondary scaffold). Cut all branches back and select only upward/outward buds, depending on the height and direction of the bud. By the third year, you’ll have a nice goblet shape. Once you have established a goblet shape, prune to maintain it. In winter, remove all low lying and dead, dying, diseased and damaged branches. Cut back new growth on branches by half and new growth on side-shoots to 1-3 buds. Side shoots growing towards the centre can be shortened to 1 bud to allow light to penetrate the interior. Late June, shorten side-spurs to five leaves from the base. The stool method bears some similarities with growing raspberries, whereby you allow suckers/stems to grow and then cut then right back down to the ground. 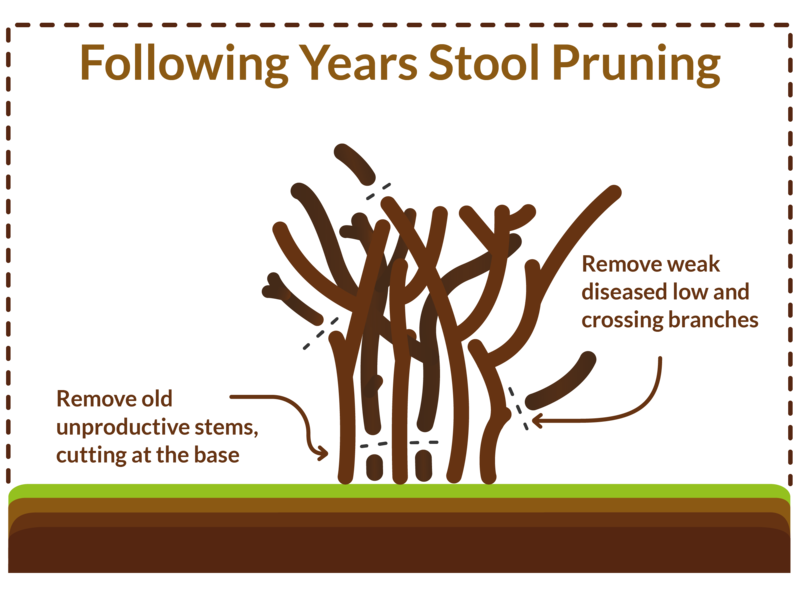 With the stool method, you want a mix of wood growing to ensure a good annual harvest. Thus with redcurrants and gooseberries keep a mix of one, two and three year old stems and with blackberries keep just one and two year old stems. Usually 9-12 canes are kept with redcurrants and gooseberries, and 10-12 with blackcurrants/jostaberries. With vigorous varieties, you can have more stems growing at any one time. It’s important you don’t remove suckers, but thin them, selecting the best. And just like with a freestanding bush, remove all low lying, rubbing and dead, dying, diseased and damaged branches. In the first season of planting, keep 6-8 shoots. In the second, leave 4-5 one year old stems and 3-4 two year old stems. From then on, select 3-4 one and two year old wood and remove all third year wood, cutting 2 inches from the ground. In the second, leave 5-6 one year stems and remove all two year old stems, cutting 2 inches from the ground. Both pears and quinces are grafted onto quince rootstocks, such as “Quince A”, “Quince C”, and “Quince Eline”. The rootstocks that exert the greatest dwarfing effect will produce a 2.5-3m tall pear tree and 3m tall quince. A scion grafted onto a rootstock. 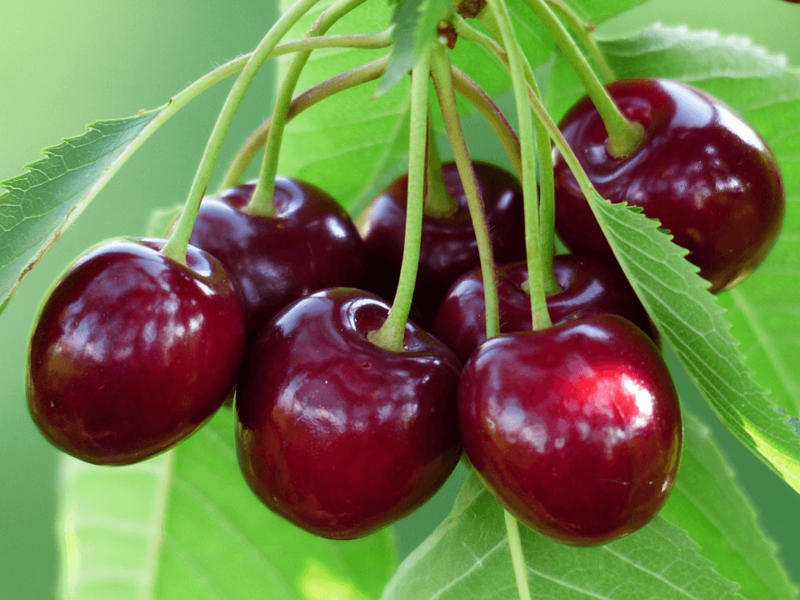 Most fruit trees are produced from two trees attached or grafted together, with the bottom part composing the roots known as the rootstock and the top part composing the crown, which can be any variety, providing it’s compatible. You can see where they have been attached at the graft point located at the bottom of the stem. For the most part, the above ground tree remains unaffected, so a Concorde pear attached to a rootstock will always produce Concorde pears. Rootstocks are selected for their interactions with the soil. Often rootstocks exert a dwarfing effect on the tree it’s attached, producing a tree smaller than it would be if left to grow on its own roots. Rootstocks produce smaller trees as they are worse at absorbing nutrients and water from the soil than conventional roots. While this may sound like a negative, it is actually a huge positive. Trees with dwarfing rootstocks produce earlier in their lives and put more resources into fruiting. Their branches are at a more manageable height and the tree’s ultimate size better suited to the average-sized garden. Rootstocks don’t just affect size and precociousness (time to fruit), but also disease resistance and hardiness. In the UK, we have comparatively mild winters to other countries, so aren’t interested in cold hardiness. Rootstocks can be of a completely different species to the plant it is grafted as in the case of quinces and pears. Indeed quinces are in a completely different genus altogether, but are in the same family Rosaceae. In the early 1900s East Malling Research began their project of collecting and labelling traditional rootstocks. They knew that farmers in the Angers region of France used quince as pear rootstocks and brought them over to England. They tested them, finding loads of different rootstocks and categorised them by letter: A, B, C and so on. They found that they were easy to propagate and produced good yields, and have been used ever since. 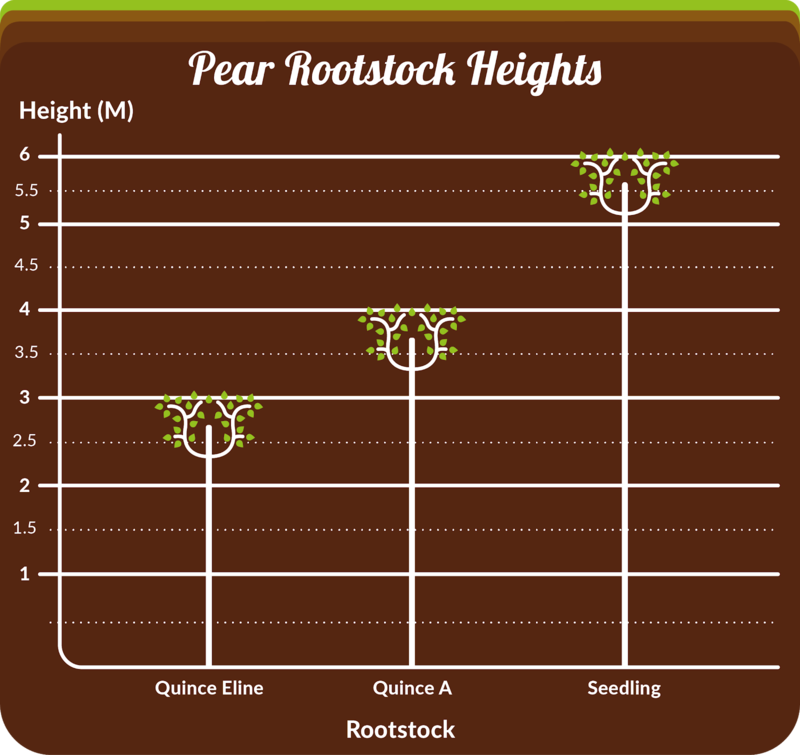 It’s perfectly feasible that more pear/quince rootstocks may emerge. “Quince Eline” is actually a new introduction from Holland, selected for its hardiness. As with any major outlay it’s always worth testing multiple varieties on multiple rootstocks. You can never be sure how a rootstock will perform in local conditions. Every rootstock produces a similar dwarfing effect on both pears and quinces, but quinces end up slightly larger. 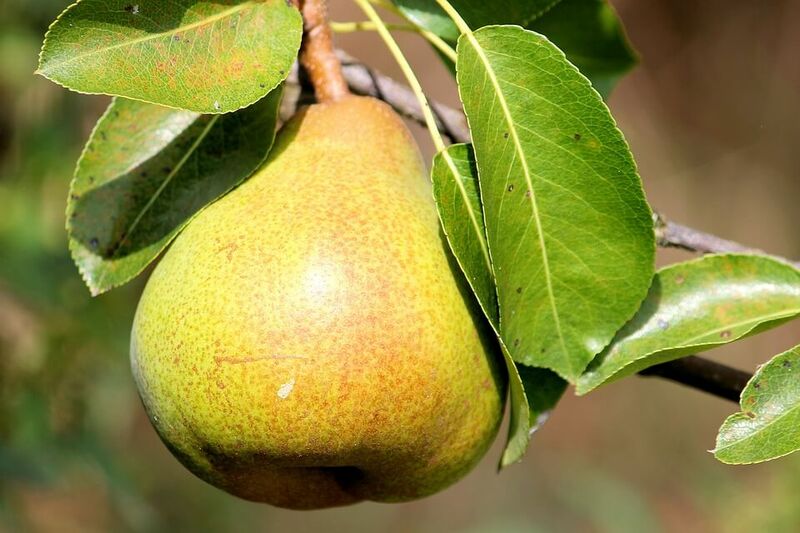 Kirchensaller is a pear rootstock that produces a tree to the same height as a seedling. Such rootstocks are used to create specimen trees, or can be used to add vigour to naturally small varieties. Quince A produces trees 3-4m high, about 50-66% of the size of a tree grown on its own roots. Quince trees end up around 3.5-4m. Quince Eline produces trees 2.5-3m high, about 40-50% of the size of a tree grown on its own roots. Quince trees end up around 3m. Quince C exerts a similar dwarfing effect to Eline. Eline differs slightly to C in that it reduces fruit russeting and produces a slightly more erect form. A tree grown on its own roots, and therefore not attached to a rootstock, is known as a seedling. A pear on its own roots tend to grow to about 6m, quince about the same. Quince Eline needs 2.5m between trees, Quince A 4m and Seedling 6-8m between trees.